I’m in the midst of writing a review of Memory At Bay, a novel by Evelyne Trouillot translated by Paul Curtis Daw. As I was writing an idea became stuck in my head – relevant to the book and the review, but too large and unformed at this stage to actually use. The only way I can think of to move past it and get back to work is to do a massive data-dump… plus I’d love to put it out there to hear what everyone else thinks of it. My question is: can diaspora writing be considered a literary movement of the late 20th- early 21st- centuries? And if so, what would be its defining characteristics? Here’s what I’ve found so far. A Google search brought up both the terms “diasporic literature” (which is a horrible name) and “exile literature”, but I think diaspora and exile are two different things. Modern diaspora is a kind of expatriation associated almost exclusively with people of the developing world who leave their home countries for socio-economic and political reasons: war, famine, poverty and corrupt governments. But they aren’t necessarily refugees or exiles. The implication is that refugees are fleeing ahead of something. That they are leaving against their will and that when the region they are leaving stabilizes they will try to return. The word exile, on the other hand, implies a specific individual (or race or religious group) forced to leave because they are being targeted. In contrast, members of a diaspora leave in search of better circumstances, better opportunities and (yes, this too) for safety. They plan and prepare. It is a kind of immigration (though members of a diaspora do not always come through legal channels). Ultimately, they are looking for a new home where they and their loved ones can thrive. Puerto Rico (though not a country), Haiti and other Caribbean Islands, African nations (particularly Eastern, Western and Central), India, Bangladesh… these are all countries I associate with diaspora. * Countries, the majority relatively small, whose citizens have dispersed throughout the world in large numbers. Diaspora writing is about the transition between one country and another, about resettling and rebuilding of lives, and is often multi-generational. Another important characteristic of the literature is an attachment to memory and an underlying sense of guilt – for having left and for building a new life somewhere else. Displacement. Diversity. Navigation. Perhaps diaspora writing is about coming to terms with voluntary exile. The writers who are a part of the diaspora tend to settle in the wealthier Western countries. English language countries like England, Canada, Australia, New Zealand and the United States. They write in English or write in another language and are translated into English. Zadie Smith, Jhumpa Lahiri, Salman Rushdie, Alain Mabanckou, Chimamanda Ngozi Adichie, Evelyne Trouillot, Jean-Euphèle Milcé and maybe Valeria Luiselli and Bolaño (Mexico and Latin America is somewhat tricky for a number of reasons) – they are some of the writers whose work I would put in the category of diaspora writing. The immediate result of diaspora writing is that it brings a fresh perspective to English literature. It is a reexamination of Western culture, described by someone who is simultaneously embedded and detached, and gives voice to a huge segment of Western society that is too often marginalized and ignored. At its best it explores the fusion of two cultures, allowing for endless variations. One last piece of information I found interesting: the word “diaspora” entered into the English language as recently as the late 1800’s. A graph generated by the Google Ngram Viewer (which tracks the usage of a word or phrase in books) shows a jump in its usage between the years 1980-2008 of approximately 250%. I can’t embed the chart into this post, but you can follow the link to it below. That’s all I’ve got at the moment. I hope I haven’t bored everyone to death. My final question is – what do you think? Is diaspora writing a real thing or have I over thought it? (I’m really not sure 🙂 ). And are there other countries and authors you’d include in the category? I’d really love to hear what everyone thinks. *For some reason I don’t entirely associate diaspora with most Asian and Latin American countries, though at the moment I can’t explain why. 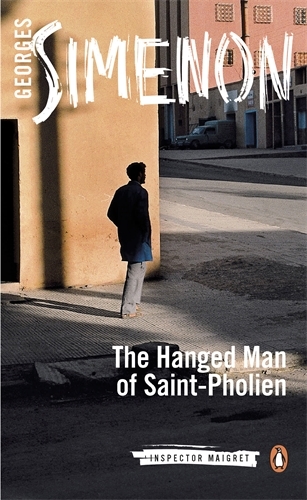 The Hanged Man of Saint-Pholien, translated by Linda Coverdale and published by Penguin Books, features Simenon’s Inspector Maigret. A Parisian detective who starred in an impressive seventy-five novels & twenty-eight short stories. Of the three Simenon books I’m reviewing The Hanged Man… is the most conventional – being a fairly straight forward detective novel. In it the off-duty Inspector Maigret spots a suspicious looking man at the train station and decides, seemingly on a whim, to follow him. He goes so far as to switch suitcases (“the kind sold in any cheap store, made of cardboard treated to look like leather”), board the same train and check into an adjoining room at the same seedy boarding house. Maigret watches through a keyhole as the man opens the suitcase, realizes it isn’t his and hurries off to find it. He was so upset that, to make himself better understood, he imitated the sound of a train! He reached the station. He wandered in the vast hall, spotted a pile of luggage somewhere and stole up to it like a thief to make sure that his suitcase wasn’t there. And he gave a start whenever someone went by with the same kind of suitcase. Unsuccessful, the man returns to his hotel room and the Inspector resumes his keyhole stakeout. Only to watch in horror as the man pulls out a revolver and shoots himself in the head. Everything that follows is Maigret’s attempt to unravel why the man committed suicide – for which he understandably feels a measure of guilt. Beginning his investigation with almost no information (an old, blood-stained suit and a false id) he sets off on a madcap chase, following the rapidly fading trail of a decade old murder from city to city, person to person – in a race against someone determined on making all the evidence disappear. The Hanged Man of Saint-Pholien is fast-paced and engrossing; written in short, choppy paragraphs and containing lots of dialogue. The kind of book you read in one sitting. Perhaps more shocking than the denouement is the discovery that the crime on which the novel’s plot hinges was based on an event from Simeon’s own life. The President, translated by Daphne Woodward and published as part of Melville House’s Neversink Library, is (again) entirely different. An aging French Premier – said to be based on Clemenceau – has retired to the Normandy coast. He is one of the “five great men” of his generation, but at 82 the only one left for him to engage in battle is Death. Until his final days are livened up by an unexpected and unhoped for diversion. Someone has been rifling through his personal effects. This is the story of a man whose mind has lost none of its acuity but whose body betrays him. And as the plot progresses it becomes clear that the mystery is less about who is searching than what has been hidden and why. The Premier is guarding a piece of paper that could topple the new French government. 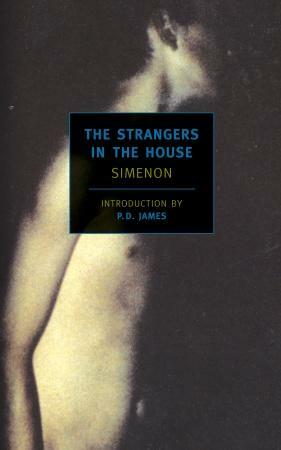 Simenon maintains a claustrophobic atmosphere throughout the novel, confining his hero in an isolated house and making him completely dependent on caretakers. For a good portion of the story a storm rages outside and the power is out. Radio broadcasts report the news from Paris, also serving to spark the Premier’s memories. It is his last remaining link to the world he once dominated. Does he still? Should he still? Three books, three different premises, conjuring three entirely different moods. Thus is the genius of Georges Simenon. He is the rare mystery writer who doesn’t merely assemble a puzzle for his readers, he also dictates the psychology by which it must be solved. These mysteries – the tones of the stories and the perspectives of the characters – are so different that it’s hard to believe that they were written by the same man. Yet despite each book having a different translator the writing style remains consistent and consistently good from one to another. The dialogue rings true. There’s the right balance of description and action. Beautiful phrases like “Today the dawn was colorless, sketched with white gouache and charcoal, and only the whiter glow of the thickening fog showed that the light was strengthening” are more striking because they are scarce. It’s amazing, really, when you think about it. The author of almost two hundred books avoids the formulaic. Gore Vidal once said in an interview that he used to be a famous novelist. But the category, he claimed, no longer existed. Perhaps that’s as much the fault of the novelists as the readers. Today publishers demand writers engage with readers on social media, but no one seems to demand that they be interesting. Newspapers – once a finishing school for writers – are disappearing. Journalists – adrenaline junkies trained on how to spin a story – are going the way of the dodo. Over the weekend I got into a brief discussion on the value of MFA programs. They are everywhere these days, blanketing the literary landscape like Kudzu vine. But does theory really trump experience in the making of better writers? The old saying goes “write what you know”. That seems to have worked out amazingly well for Georges Simenon and his contemporaries – men and women who made it their mission to have something worth writing about. Remember when being a writer was a glamorous business? Bloomsbury, Fitzgerald and Hemingway, Gide, the Algonquin Round Table, Kingsley Amis, the Surrealists & Oulipo, the Beats… in between the books they had affairs, friendships & fallings-out, drowned in cascades of alcohol, found time to create intellectual movements and still attend wild parties. Even Salinger, who publicly claimed to stop writing books, managed to make moving to New England and refusing to talk to anyone seem interesting. These days, only Kardashians get to be glamorous. The world has changed. Example: The most exciting thing on Jonathan Franzen’s Wikipedia page is the theft of his eyeglasses. 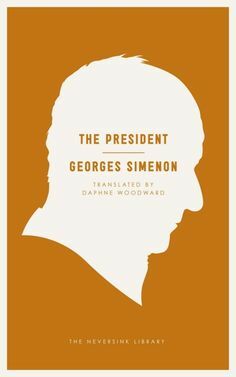 Georges Simenon was one of those writers who knew how to live. Belgian, born 1902, he began his career as a journalist. He associated with artists and anarchists, met at least two future murderers, eventually married and moved to Paris with his wife, Tigy. There, he became a familiar feature at the city’s nightclubs – rumored to have had an affair with Josephine Baker. After discovering on assignment that he enjoyed boating he had one built and moved his family on board. He corresponded with Gide and Henry Miller. Throughout his life he traveled the world – sending back reports to the newspapers. During WW2 he was both suspected of being Jewish by the Gestapo and accused of being a Nazi collaborator by his neighbors. Which may or may not have prompted his move to America for 10 years (supposedly to avoid questioning). He had affairs with not one, but two housekeepers. His wife left him only after finding out about the second one (the first, called Boule, traveled with the couple for years as a member of the family even after her ongoing affair with Simenon was discovered). His daughter tragically committed suicide at the age of 25. He eventually died in Switzerland in 1988 at the age of 86. And all the while he found the time to write – often under pseudonyms – almost 200 novels and numerous shorter pieces. Now that’s a Wikipedia page! Have you read Simenon? Faulkner, Camus, P.D. 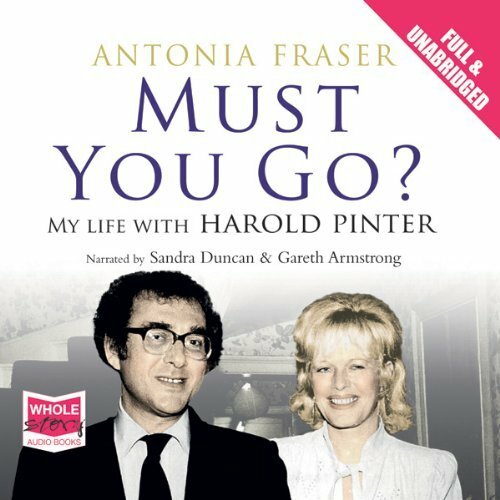 James, Muriel Spark, Peter Ackroyd, Anita Brookner, John Banville and John Le Carre have. To name a few. They are/were all fans. Ostensibly, he wrote mysteries and thrillers, but a different variety of mystery and thriller than modern readers are used to. His books were written in a time before every killer was a sociopath and every crime scene was staged like an art installation. The Strangers In the House, translated by Geoffrey Sainsbury and published by New York Review Books, features a hero whose physical appearance is among the most repulsive in the history of mystery writing. Hector Loursat comes from an old, well-respected and wealthy family. Reclusive, misanthropic, alcoholic – eighteen years before the events in the book his wife ran off with her lover leaving behind their two-year old daughter. A child Loursat suspects might not be his. In response he has sequestered himself to three rooms of the family mansion and allowed the remaining structure to disintegrate around him. He has been known to sporadically leave the haze of cigarette smoke, burgundy and filth in which he exists to practice the law. Loursat is a bit of a legend in the courtrooms of Moulins. Considered brutally intelligent and a keen judge of human nature – a great lawyer when he chooses to put on his robes. But that is seldom and his long isolation has made him uncomfortable and unable to interact meaningfully with those around him. Until he discovers a dead man in an upstairs room of the house. He wasn’t drunk. As a matter of fact he never was, whatever people might say. As the day wore on, his whole being seemed to become rather ponderous, his head especially, and his thoughts lost their outlines. They were strung together by a thread that was not that of everyday logic. Sometimes he would come out with a few words grunted under his breath, the only indications of what was going on inside his head. It’s difficult to decide whether it was the body or learning that a group of young people (among them his daughter) have been using his home as a a meeting place for months without his being aware – but the circumstances result in his immersing himself in the world again. Enough, at least, to take on the defense of his daughter’s young lover. The story of the murder unfolds slowly and methodically. These days we forget that most murders are committed for fairly mundane reasons and are solved through plodding investigation. That most murderers are not serial killers or criminal masterminds. Loursat is no Sherlock Holmes. He questions everyone who might have information on what took place in the days leading up to the murder and pieces together the story of what happened from the information he gleans. The Strangers In the House is an honest, if cynical, examination of the way human relationships work. And when it’s over you are sad. Sad because you’ve finished the only novel Simenon wrote featuring Hector Loursat – a hero you will find yourself wanting more of. This seems to be a hallmark of Simenon’s novels (or at least the three I’ve read). Heroes who are men of gravity and weight (both literally and figuratively); men closer to the end of their lives than the beginning. Who, despite their outward similarities, live vastly different lives and operate under very different psychologies. *Part 2 of this review will be posted tomorrow. The series 100 Pages was started to highlight those books I’ve put aside after 100 pages – not due to any fault of the author or the quality of the writing, but because ultimately they were not to my taste. 100 Pages is a way to recommend deserving books that I know BookSexy Review readers will be interested in, even when I am not. 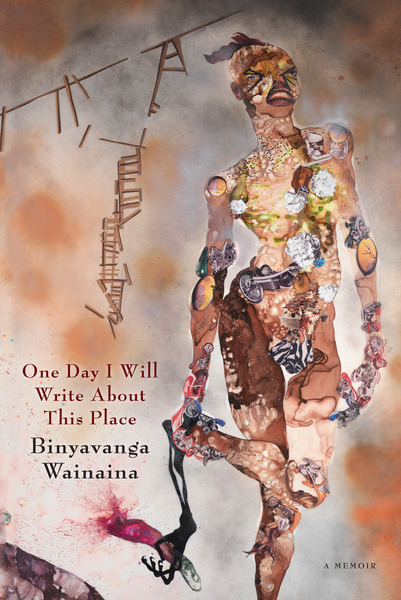 One Day I Will Write About This Place is a memoir by author Binyavanga Wainaina. Writing in the first person present tense, Wainaina takes the reader through his Kenyan childhood in the 80’s, college in South Africa in the 90’s, and his eventual immigration to the United States in the first decade of the 21st Century. More than the typical coming of age story – the book reminded me of Eudora Welty’s autobiography One Writer’s Beginnings. Binyavanga Wainaina is telling a very specific story which focuses on his development as a writer. He tells it in full-throttle, turn-the-spigot-on-and-let-it-rip stream of consciousness style. “Stream” may even be too tame a word. Wainaina has unleashed a river of memories, impressions and emotions. The disorganization of his thought process – which he wrestles and maneuvers into the context of his life and the semblance of a plot – feels unusually authentic. His words and ideas are not being arranged with an eye for poetry or artful composition. The writing between these covers reads like raw, unedited data. And I mean that in the best possible sense. There’s a cognizance here that I feel is missing from many memoirs. And Binyavanga Wainaina stays true to his GRANTA article. The Kenyans he describes do not live in grass huts. They are, in fact, Kenyans in the sense that a New Yorker is from New York. There is a multi-cultural aspect to his childhood. As he says in the article, “Africa is big: fifty-four countries, 900 million people…” and you feel that when reading One Day I Will Write About This Place. His mother was born in Uganda and owns a beauty salon. She “speaks Kinyarwanda (Bufumbria), Luganda, English, and Kiswalhili.” His father is Kenyan, a Gikuyu and is the Managing Director of the Pyrethrum Board of Kenya. He too speaks multiple languages – Gikuyu, Kiswahili and English. They are committed to seeing their country prosper. Young Binyavanga is aware of the politics happening around him, but larger events take place on the periphery of his child’s world. The most scenic description I came across in the 109 pages I’d read was of a corrugated roofed village that young Wainaina visits with his father to find a mechanical part. It is located in the poorest section of the city, not the section where his family lives. Wainaina is careful to differentiate. …It is lunchtime, and women are gathered around huge pots cut out of old oil drums; beans and maize are boiling, men queuing for a two-shilling lunch. Screaming, shouting, ladles clashing hard on enamel plates. Now it is the smell of boiling suds of beans. The grass has been beaten down to nothing by feet over many years in this large patch of ground of banging. Somewhere, not far from here, an open-air church service is taking place: loudspeakers and shouts and screams. You would not believe that not five hundred meters from here are roads and shops, and skyscrapers and cool restaurants that are playing the music of noiseless elevators, and serving the food of quiet electric mixers and plastic fridge containers. Burgers and coke. Pizza. My problem finishing One Day I Will Write About This Place have more to do with my personal likes and dislikes than a weakness in the author’s story. First person present is my least favorite narrative tense. The author is not just asking me to immerse myself in his book, but to accept that I am present as the events occur. It’s always felt gimmicky and I’ve difficulty moving past it. Also, I generally don’t like memoirs. But I can recognize when a book is well written and important. Binyavanga Wainaina has given the reader something that he recognizes as all too rare: an honest representation of modern Africa. A place much more familiar (and less romantic) than that we in the West imagine it to be.